EVERYTHING IN THE STORE 50% off!!! Plus special store FREEBIES!!! Devilish Cupcake is back! Come see our great new outfits!!! Plus amazing prices on old favs!!! 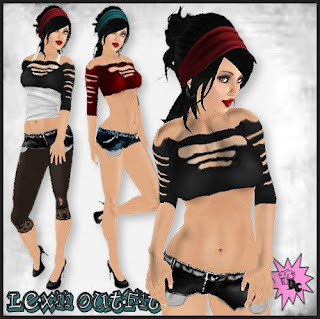 All our outfits are transfer and make great gifts! To show my love my group gets this awesome Cupcake dress! Look for Devilish Cupcake on Subscribe-O-Matic! WITH LOTS OF NEW GOODIES!!! 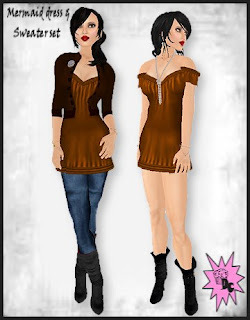 More Clothing fair goodness and RFL Item! Devilish Cupcake Relay for life item only available this week at Clothing fair and next week in Main shop! Its Clothing Fair time once again!!! 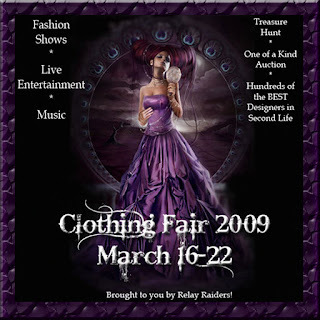 Clothing Fair is a Relay For Life event all proceeds from the hunt and from purchases made from a rfl vendor go to the American Cancer Soceity. A great cause and a great excuse to spend some money! 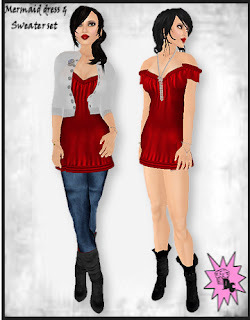 ALL ITEMS AVAILABLE AT CLOTHING FAIR ONLY until the fair is over then I will put them in the main store! (Persian Gulf) and I have great NEW things for you! Yes Devilish Cupcake is BACK! Just in time for Relay for Life Clothing Fair 2009!!! Check out my stall in Sim 3 Persian Gulf! Its full of great NEW Goodies and Old favorites!